Having a blog is one thing, having an Instagram page is another. 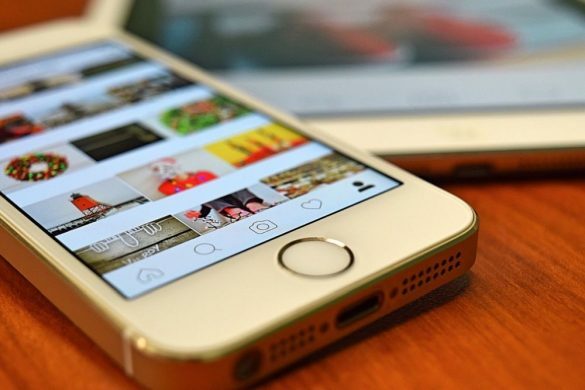 You might have an established blog, but your Instagram page might still be struggling both in engagement rates and in followers. That’s completely normal because competition in the social networking platform is higher than ever. In fact, Instagram now has over 375 million monthly active users, most of which are bloggers who want to promote their blog on the platform. This isn’t surprising as Instagram’s visual aesthetics make it the perfect place to attract followers that convert. However, the number of Instagram users is growing by the day, and with it, competition between users stiffens. This makes it challenging to market your Instagram using your existing blog following. But here, we’ll show you how to do just that. 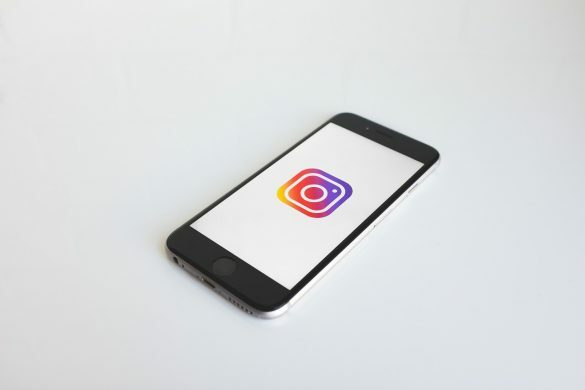 Switch your Instagram profile into a Business account if you’re going to use the platform for marketing. While the original account option works, it gives you no advantages as it’s for regular users. A business profile makes you look professional which is good for branding. You can release ads and use analytic tools to analyze engagement figures. You can also customize your profile based on your blog’s branding. Your blog and Instagram don’t have to be two separate entities. There’s no point in sharing content if you can’t build one. The adage, “build it and they will come” applies here. You need to bank on great content to attract a following and mobilize them into action. Having an Instagram account doesn’t mean you can post random photos and selfies. But you need to focus on making your Instagram and blog consistent. You want to use your blog’s credibility to improve your Instagram’s popularity. Use ideas, topics, and photos that relate to your blog. Your Instagram should directly market your brand. Aside from funneling your blog readers to your Instagram account, you may also buy automatic likes from Instagram. These should help increase engagement and activity on your profile. The more vibrant your Instagram is, the more others will share their enthusiasm as well! Embedding your popular Instagram photos and videos on your blog increases your IG’s visibility. You can also do it vice versa and blog teaser photos and videos on Instagram. The platform focuses on visual content which is why it works best on striking the user’s curiosity. Not everybody has the budget like HBO has for Game of Thrones. But that shouldn’t discourage you from doing something similar, albeit on a smaller scale. Post small shots of an upcoming blog to create hype. This lets followers speculate on what the next topic would be. Your followers will surely keep coming back for more content to know what it really is that you’re unveiling soon. Use Instagram to create “limited edition” content for your blog followers. This can’t be done in blogs since you publish entire articles permanently. With Instagram Stories, though, you can make your content more valuable because they can be seen in just 24 hours. Your followers will be obliged to see a story before it’s taken down. It’s a smart marketing strategy that compels users to tune in to you. It also sparks their curiosity because they can’t see your story unless they click on the circle story icon. This is easier if you have an already established blog because you already have a strong following who wants to keep track of your day. This makes your followers feel special because you give them value by sharing their submitted photos in your page. It’s also a good way of giving attention to your blog followers as you make them a part of your Instagram. Giving them a shout out in the caption creates a sense of hype. It makes followers feel rewarded if they are given a shout out. This makes your blog and Instagram look popular with new visitors! Your blog and Instagram account should work together. You want to leverage your blog’s popularity to help improve your IG’s engagement rate. Placing your Instagram link on your blog does just that. It makes it easier for your blog followers to open your IG. This way, you can easily turn them into IG followers as well. You can place a link on your blog’s footer or near the social media icons section. Know when to post photos on your Instagram, and how many posts to share per day. Use your blog’s analytics to know the right frequency and quantity of posts to share. You want to turn your blog’s audience to IG followers, right? You can do this by posting IG photos or videos during the time your blog followers are most active. Be interesting, but at the same time, elusive. Don’t wait for a follower to have had enough of your posts. Remember that quality is always atop quantity if you want to get better engagement. Acquiring Instagram likes and followers is necessary to hasten the growth of one’s brand. There are lots of ways to do that and you can start by using the ones featured in this Forbes post. By simply following the tips mentioned, you can grow your Instagram followers using your blog’s credibility and current following. Leverage on your blog’s success and use it to propel your Instagram page to greater heights. I do not know why people are still crazy about Instagram, days are the gone when it used to provide exceptional reach. Instagram now is becoming more like a Facebook where you do not get much organic reach. I have witnessed 75% decline in the Instagram reach in past few days and if it keeps on riding the same track then it is highly likely that soon enough it would become second Facebook which will just allow users to just share pictures with links in Bio.